Insert Your Words Here - Remember: Words needs to fit on a small type business card allowing enough room in upper right hand corner to be used for the button. Child abuse, Education, Hurricane Awareness Ribbon Pins are used for hospitals, galas, foundations, organizations, donations, walks, school functions. 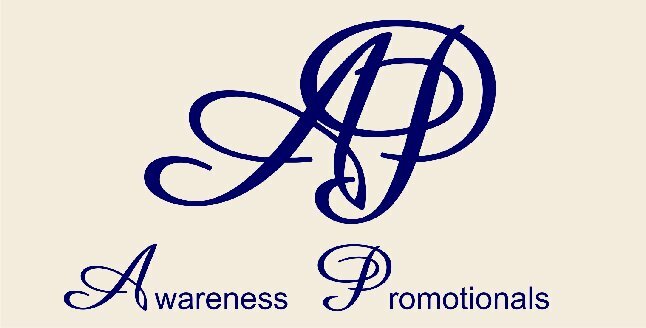 Custom made in-house Awareness Ribbon Pin for hospitals, cancer/children foundations, environmental events, donation requests, charity/benefit events. Printed 2" x 3.5" matte finished card included with your choice of information on card. Pin/Button will be attached to upper right hand side of card. 3/4" pin backing is used. Measures approximately 2-3/4" long. Both ribbons are 1/4" wide. Backing is 3/4" Pin Back. This price is for blank awareness ribbon pin and NOT screen printed pins. You can choose any available listed color for top and/or bottom ribbon. Does not have to be as shown ribbon. Approximate ship schedule is 2 - 3 weeks from receipt of payment.